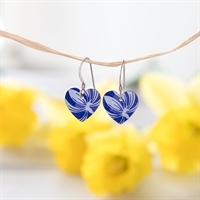 We use the same size hearts as our best-selling pendant for these earrings, with each one hanging just below the ear. 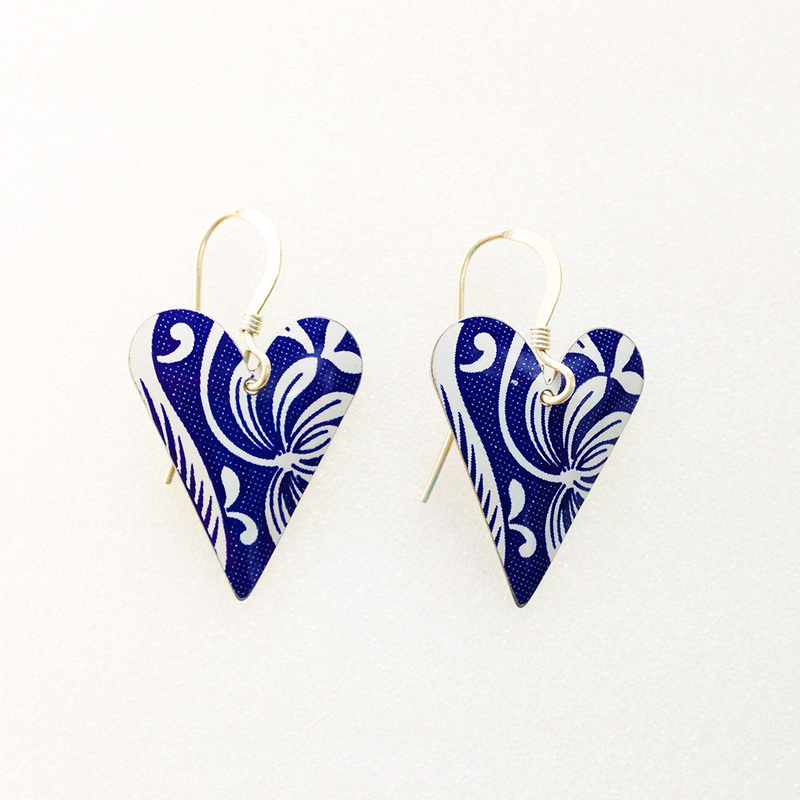 Simple and classic. 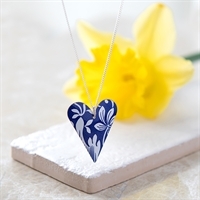 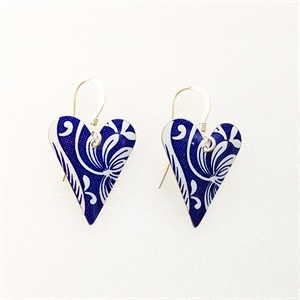 The blue and white print hearts supplied on sterling silver earwires.